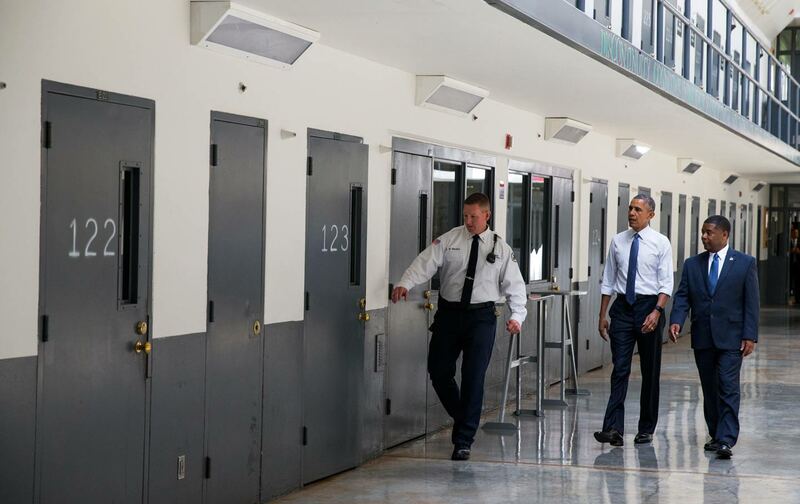 A collection of 2008 letters to President-elect Obama shows that even though many incarcerated and formerly incarcerated people cannot vote they do have a stake in our country. In December 2008, as I was starting the final year of a 12-year sentence in a New York state prison, the African American Organization, led by prisoners in Otisville Correctional Facility, put together its annual Kwanzaa celebration. During the seven days of Kwanzaa men from the prison would gather in a classroom and observe each day’s principle. Every night for about three hours, we would listen to prepared speeches from our peers that explored the principle of the night. That year, on the second night, I was given the opportunity to deliver remarks about kujichagulia, Swahili for self-determination. Not long before the night of my speech, I came across a pull-out in the January 2009 issue of Essence that prompted readers to fill out a form letter to the newly elected President Obama and send it to the White House. I decided to make photocopies of the handout and ask the men who were in attendance the night of my speech to fill out the handout. In the days to come, I wish for you and your family__________________. During your presidency, I hope you will pay attention to__________________. I pledge to do my part by helping my community to__________________. Our prayer for you, as we embark on this journey together, is__________________. People in prison are so much more than prisoners. They are more than campaigns for advocates and activists to fight for. The women, men, transgender people, and children that occupy America’s prisons have insights to offer. As you read the words of these men, I ask you to digest them with careful thought. Did he fulfill their (our) hopes and dreams? Is there anything you would consider prophetic in their letters? Anything particularly insightful? Or maybe there are statements that will make you rethink your evaluation of his presidency. What if there was a presidential debate held inside a prison facility? Moreover, how would candidates Hillary Clinton, Bernie Sanders, Donald Trump, Ted Cruz, and John Kasich answer the prisoners’ questions? If we’re real about criminal-justice reform, and political revolutions, then here’s a chance to be authentic. The letters attached are evidence that even though many incarcerated and formerly incarcerated people cannot vote they do have a stake in who becomes president. Marlon PetersonTwitterMarlon Peterson is a national social- and criminal-justice advocate, writer, community organizer, and educator. He is the founder of The Precedential Group.